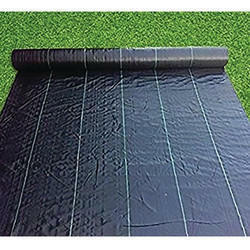 Higro Woven Mat are extensively utilized for protecting the crops against adverse environmental conditions like rain, hailstorms, and insects. They are lightweight and easy to spread. The Mats can be customized as per the client's requirement. The offered Mats help in preserving the quality of the soil and result in a healthy yield at an affordable price. Looking for Higro Woven Weed Mat ?